Database Systems Corp. is a leading provides comprehensive call center technology including inbound telemarketing software and phone systems. DSC also offers inbound telemarketing services using our IVR call center located in DSC's secure data center. Organizations looking for automatic call answering services can outsource their IVR projects at our affordable call centers. As developers of Interactive Voice Response IVR systems, DSC is uniquely positioned to manage your outsourcing programs saving your company both time and money. Because our products are created in-house, we can deliver comprehensive inbound telemarketing services quickly - providing you with a competitive advantage in the marketplace. Plus you will find our inbound call center services to be quite affordable. Contact DSC to learn more about these inbound telemarketing phone systems and outsourced services. DSC offers both an affordable and expandable inbound telemarketing phone system. This solution includes a modern Windows PC with Dialogic computer telephony cards. When combined with our extensive IVR software, these call answering systems can manage virtually any type of inbound calling campaign. This includes automatic call processing as well as distributing calls to your call center agents. The WIZARD IVR system is our entry level inbound telemarketing phone system that supports analog phone lines. If your inbound call center requires more lines, our PACER IVR system can be used in environments where digital phone line support is necessary. Database has been a leading provider of Telemarketing Software for several decades. Our CRM (Customer Relationship Management) software was developed for large organizations during the 1980's. Thus DSC has pioneered the development of inbound telemarketing and outbound call center solutions. Our IVR software is a simple development tool for creating automatic phone answering solutions quickly and efficiently. Simply enter information using our IVR wizard and your phone applications can be operational in just minutes. Inbound telemarketing surveys and informational phone applications can now be created and maintained in a simple and visual manner. 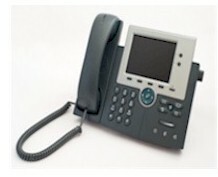 DSC provides a full featured Softphone that works in conjunction with all of our call center phone systems. 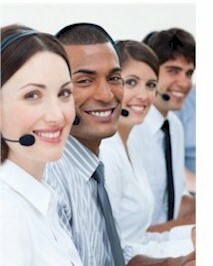 This telemarketing software manages customer information and places it at the fingertips of your agents. Using screen pops and caller information, this extensive software can be embedded in your existing applications or can work with your web based software. DSC provides complete inbound Telemarketing Services at our multiple call centers. Inbound phone calls are processed using our award winning interactive voice response (IVR) software that answers calls without an operator. Calls can be processed completely using this service or we can route these calls to your operators or service representatives. Non profit organizations and businesses alike can reduce costs and improve service by using our inbound telemarketing services. Database has developed our own IVR software - thus we are uniquely positioned to manage your telemarketing campaigns saving your organization both time and money.